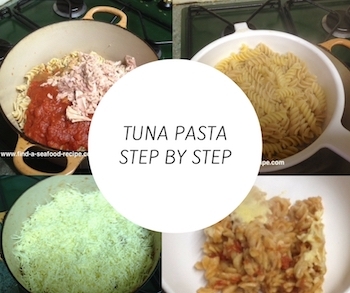 Super quick, easy and tasty Tuna Carbonara can be put together in minutes and mainly uses store cupboard ingredients. Use spaghetti, fettuccine, linguine or tagliatelle. It's not very important, but the long strands of pasta pick up the sauce better when you stir it through. It coats each strand with the beautiful tasty sauce. A carbonara is traditionally made with bacon and there's no reason why you can't have both tuna and bacon. I sometimes leave it out and just have the carbonara with tuna only. In my opinion, it is just as tasty and it's also suitable for pescatarians that way. This recipe will serve four people. 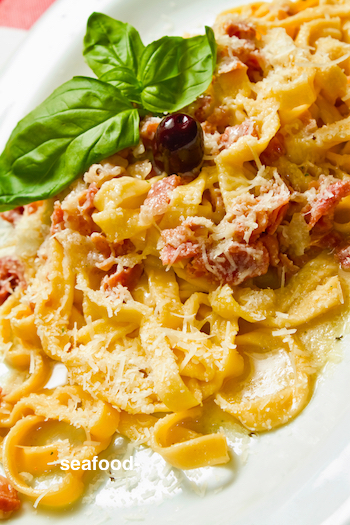 By using just the egg yolk, you will get a creamier less grainy finish to your tuna carbonara. Leftover egg whites can be used in meringues, macaroons, mousse, added to omelettes etc. They will store covered in the refrigerator for two days or in the freezer for three months. Boil the pasta in hot salted water for 8 or so minutes, but check the instructions on your packet. Fry the bacon rashers until crispy and chop them into small pieces. Chop the garlic finely and fry that until soft. Allow this mixture to cool - you don't want the heat to start cooking the eggs until the mixture hits the hot pasta. Whilst the pasta is cooking, get the sauce together - beat the egg yolks, cream and parmesan. Add the cooled bacon, garlic and the tuna and mix together thoroughly. When the pasta is cooked, drain it and reserve a cup of the pasta water. Return the pasta to the pan and pour the sauce mixture over. Get some tongs or two spoons and quickly mix it all together. The heat from the pasta will cook the egg. If the sauce is too thick, add a spoon of the pasta water to slacken it off a bit. The aim is to coat every strand with the delicious creamy sauce. You can garnish with some fresh basil and I love a black olive or two with my pasta dishes. This is such a simple dish to make. 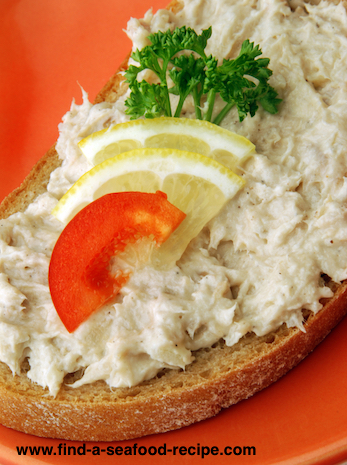 You could substitute canned salmon for the tuna - get rid of the skin and bones and flake it before mixing into the sauce. 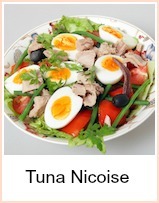 I would also recommend smoked salmon or some leftover fish, trout - really, I can't think of a fish that wouldn't work with this tuna recipe. Let me know in the comments box if you try something else - would be great to share tips. There's some good recipes here for leftover egg whites or yolks. A really easy recipe that's sure to become a family favourite. 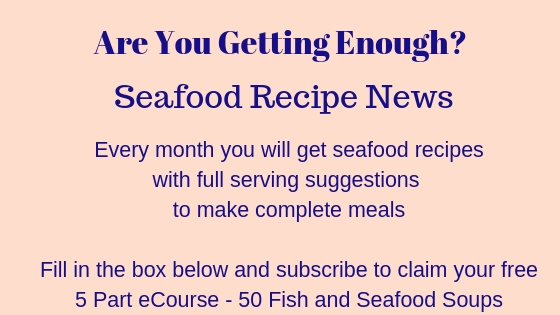 Quick and economical - you can have a meal on the table in minutes.